Discounted Parking is available in Solari's Garage at 721 Iberville Street. Mr. B's offers Sunday Jazz Brunch with the Joe Cushenberry trio. 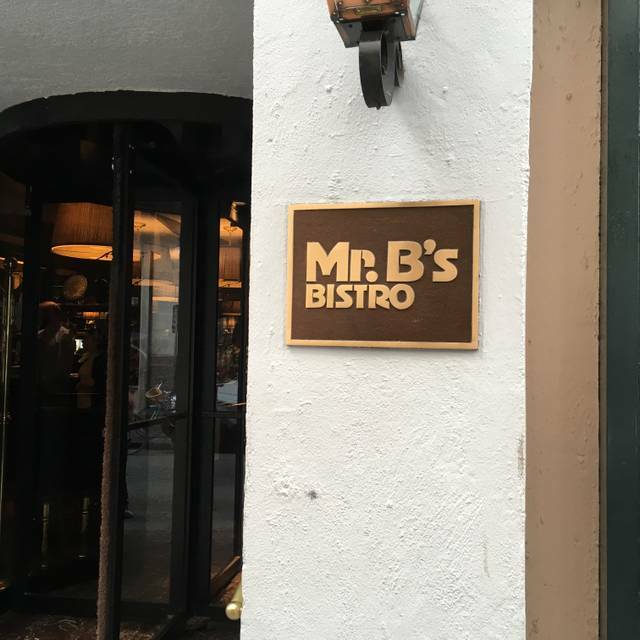 Mr. B's Bistro, a New Orleans restaurant famous for its Creole cuisine with a focus on fresh regional products, is located in the heart of the French Quarter at the intersection of Royal Street and Iberville. This corner is a New Orleans landmark and celebrated food corner. 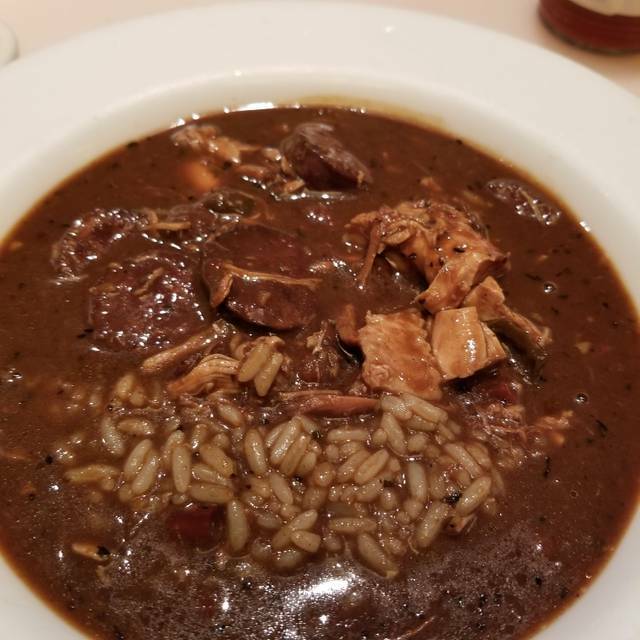 Considered the original New Orleans gourmet bistro, Mr. B's Bistro is owned and managed by Cindy Brennan, a member of the legendary New Orleans' Brennan Family. Great meal, great service, great ambiance! We will be back! Loved it so much that we went there twice this trip. The crab claws are barbecued shrimp are amazing. 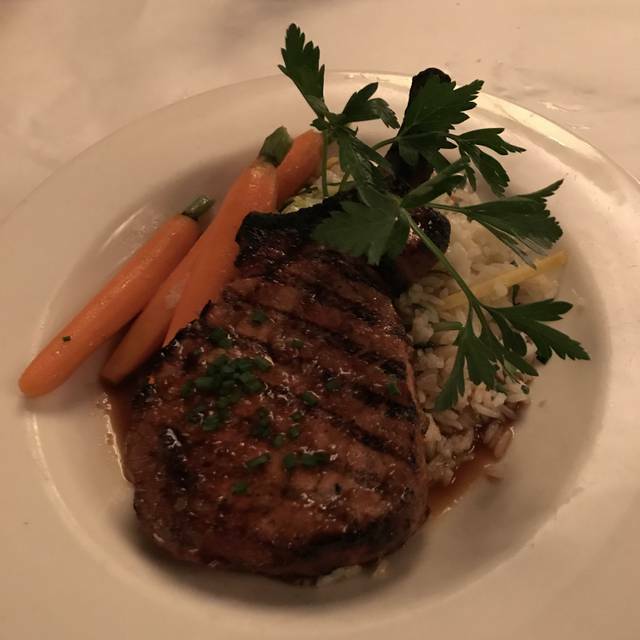 Best pork chop I've ever had in my life! Wife loved her Shrimp n' Grits! Came to New Orleans for 3 days. Our dinner at Mr B’s was 1 of the highlight meals my husband had the BBQ Shrimp. I had the shrimp and grits. The dishes were clean when we were done the warm French bread served with the meals is the absolute bomb!! So so delicious! Always good. My customer was very impressed. The servers were friendly and helpful. Even though the restaurant was busy, we got out food in a timely manner. The selections were explained in such a way to make them sound delicious and appealing. My first time having red fish and I loved it. 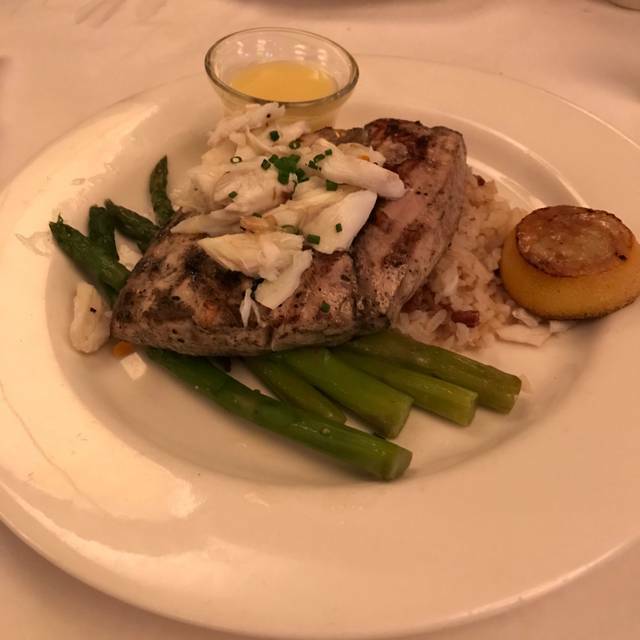 As can be expected from any of the Brennen's Restaurants, the service and food are superb! What a disappointment. The food was good — definitely not great — but it was brought out so quickly that it’s clearly not made to order. The overall service was inattentive. Water was never refilled, Bread was taken away even though we had ordered additional dishes finding ourselves hungry after the meal. We decided to cancel our reservation for the following night at one of the partner restaurants after this underwhelming experience. Excellent food. A little noisy but not horrible. One minor hiccup where they forgot to bring my coffee, but waiter unexpectedly comped our check. One of my favorite places to go in the Quarter. Service & food were very good. Will be returning. My husband and I had bbq shrimp... absolutely wonderful. We will definitely be back. Classic service. Perfect. The only thing that needs to change is the Bloody Mary. Great location in the heart of the french quarter. Easton was fantastic waiter who made excellent suggestions. Food was fabulous. Timing was wonderful. I LOVE Mr. B's, it is consistent with cuisine as well as service! Every time I get to NO, they are top of my list to dine. 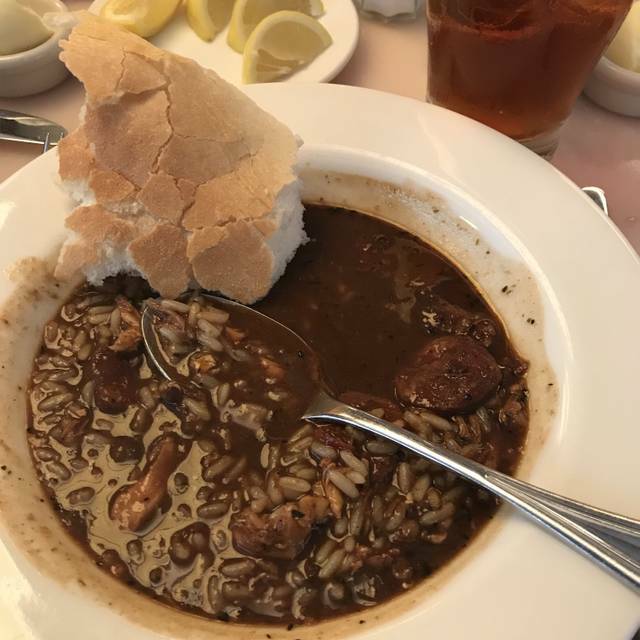 My favorites are the BBQ Shrimp and Gumbo YaYa, which is a chicken and andouille gumbo. Always on point! Only had lunch. Fast service, authentic food. Would recommend. I thought the place was fabulous. Delicious rice and 12 oz pork chop hit the spot after a long day of walking. Amazing food quality and exceptional service. The quality of food and service exceeds the value and cost. This place did not disappoint and I highly recommend this restaurant as a place not to miss when they visit NOLA. It was a great place to go to . I would recommend it everyone. The service was top notch. The place was great. Shrimp & grits are always on POINT! Plus the Signature Bloody Mary drinks were only $1.50. How could I be disappointed. I also order the Salty Dog. Dean accommodated my request and turned it into the Sweet Dog. Thanks for never letting me down Mr. B’s Bistro. Oh, last but not least, the fried crawfish salad was phenomenal. 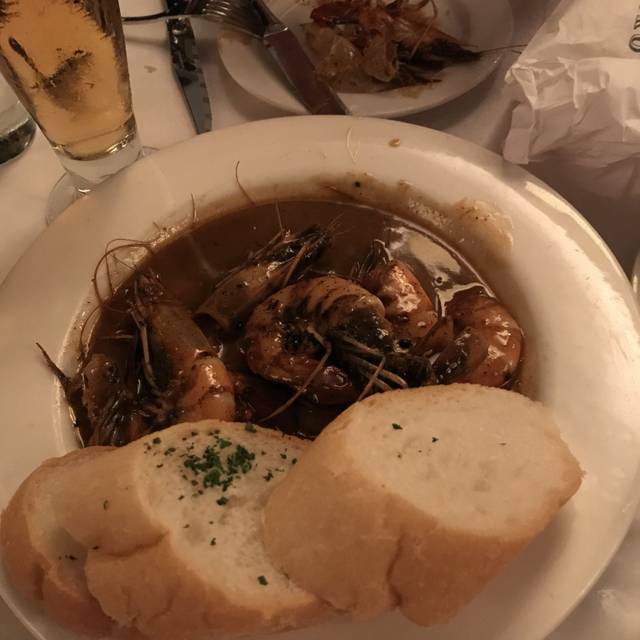 Best meal we had while in New Orleans. The food was delicious! Our servers were great, especially Renata. Just sorry we ate here on our last night, or we would have definitely eaten here again! Will recommend to our friends. Stephen (Bubbles) our waiter was amazing! He made fantastic recommendations and they were everything. We will be back! Every year I have the pleasure to como to this amazing place!!! Great location for business or pleasure meals. Outstanding service and excellent food ! What a wonderful evening! Our server was excellent (Steve A), the food was superb and the room just glowed! Somehow our server was able to anticipate our every need before we even asked! Barbecued Shrimp was excellent. I would highly recommend this restaurant. Food was superb, wait staff attentive, but noise level very high. Would go again for the shrimp and grits, and pork belly. Went with 3 people who had been to NOLA. Amazing drinks and salads. We had the garlic roasted chicken which was divine. Great service, friendly and respectful. Thanks. We'll be back! The fried green tomatoes were out of this world and the barbecue shrimp were to die for!! Very accommodating to my wife in a wheelchair. Entry and exits in New Orleans are usually difficult or impossible. They opened a side door to enter and escorted us out the back due to high steps in normal doorways. Food was excellent. We will be back. I had big expectations for this restaurants based on previous reviews. Service was just ok. You definitely feel rushed. I ordered their specialty dish, the barbecued shrimp. It had great flavor, but the sauce was cold. I sent it back, and they reheated just the shrimp which didn’t need to be reheated. I wasn’t about to send it back again. Seeing that it’s one of their specialty dishes you would think they would have that down. We had the fries with truffle oil which were delicious. My husband had a fish dish that he thought was nothing special. Unfortunately we could not recommend this restaurant. Excellent food and service. This is an upscale restaurant so dress nicely (no t-shirts and shorts). Very busy so we were glad to have made a reservation. Despite the packed dining room, the service was superb and the pace of the meal was perfect. 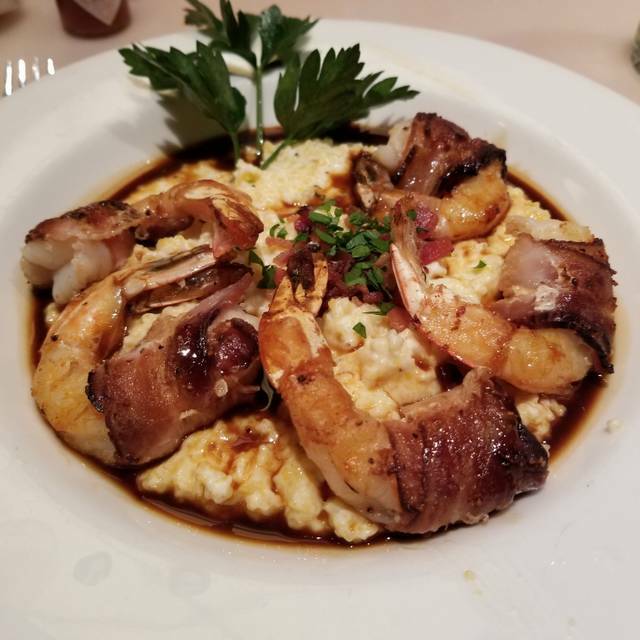 We tried the mushroom ragout, seared scallops, and seafood gumbo appetizers then moved on to the bacon-wrapped shrimp (highly recommend), salmon/scallops and grilled fish entrees, all excellent. Save room for dessert. The lemon pie was delicious and light. The pecan pie with vanilla ice cream was by far the best I have ever had. It was dense, warm, slightly spicy, with a perfect flaky crust. 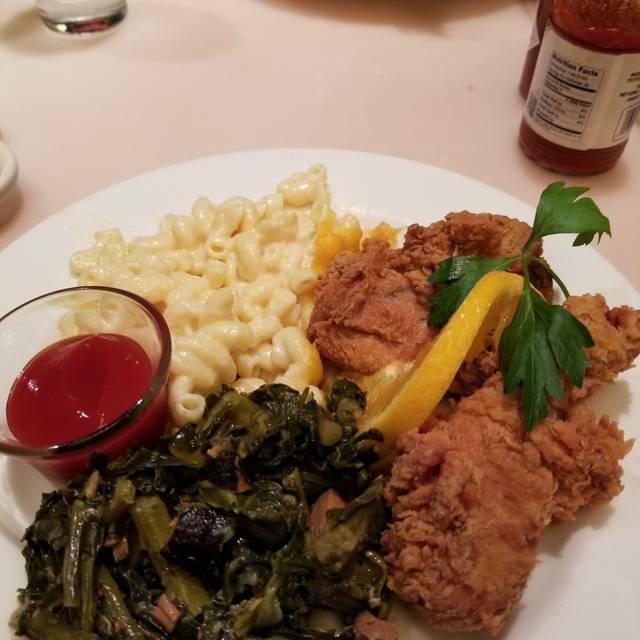 The servers were all wonderful and although I was skeptical going in based on some luke warm reviews, my group was really impressed and I would put this on the top of my list of NOLA restaurants. 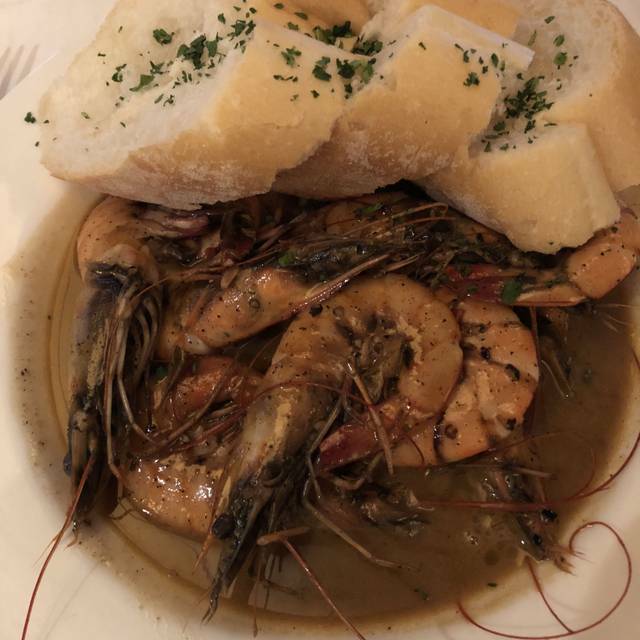 The best food I have ever eaten has been in NOLA. My tour guide raved about Mr Bs and in particular the bacon wrapped shrimp and grits. It was my first time having grits and the meal at Mr Bs was one of the best I've ever eaten. Nice restaurant. Slightly upscale but absolutely worth the price. Mr.B’s is still my favorite restaurant but my bbq shrimp was tepid. I can’t even say it was warm. Also, the sauce was not as flavorful as it normally is. The staff was very attentive and curtious. Very enjoyable dinner at Mr. B's. Staff were all friendly and professional. The food met and exceeded my expectations.